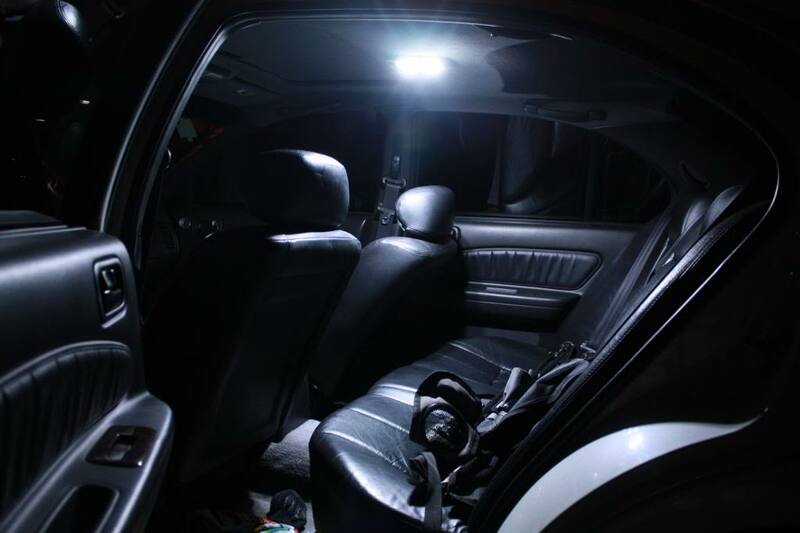 These is a full list of LED replacements bulbs for your 1995-1999 Nissan Maxima. 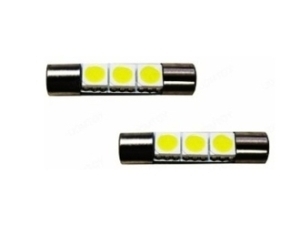 Cars with 2 Map lights will need TWO 12 SMD LED Panels and 2 BA9s adapters (can be purchased from your choice of supplier, I prefer ebay because they tend to be just as good and are usually $2-3 each). 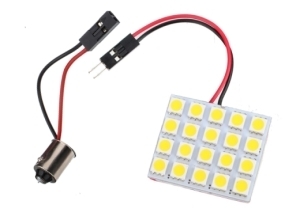 DomeLight – 36 SMD LED Panel with a Festoon Adapter (can be purchased from your choice of supplier, I prefer ebay because they tend to be just as good and are usually $2-3 each). Door Courtesy Lights – 2 x 12 SMD LED Panel and 2 T10 adapters(can be purchased from your choice of supplier, I prefer ebay because they tend to be just as good and are usually $2-3 each). 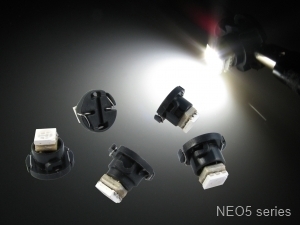 **95-97 cars – 5 (Five) T10/194 bulbs (can be purchased from your choice of supplier). 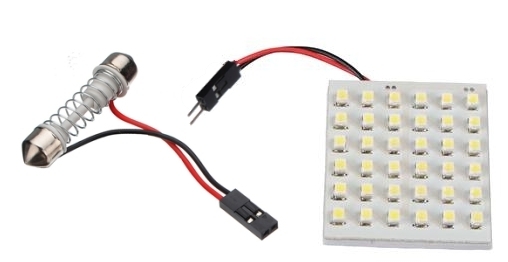 For these I recommend that you use at least 5+ SMD LED’s because if you use something with one LED it will look awful and have a huge hotspot. 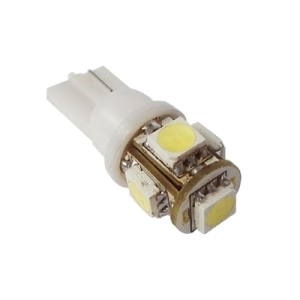 REMEMBER that there are several types of LED panels that are available to purchase, 5050 SMD LED are one of the brightest options that you have. Also remember that LED’s come in a wide array of colors, be sure to always check that the LED that you are looking at is the correct color that you want. Note: You can swap pretty much everything from sitting in the front seats. I took the ACC in my garage when I swapped those bulbs as there are 4 small screws that I didn’t want to lose. Step Two – Remove the old bulb(s). This is done by grasping the bulb(s), push down/in, and rotating counter clockwise and pull it out. 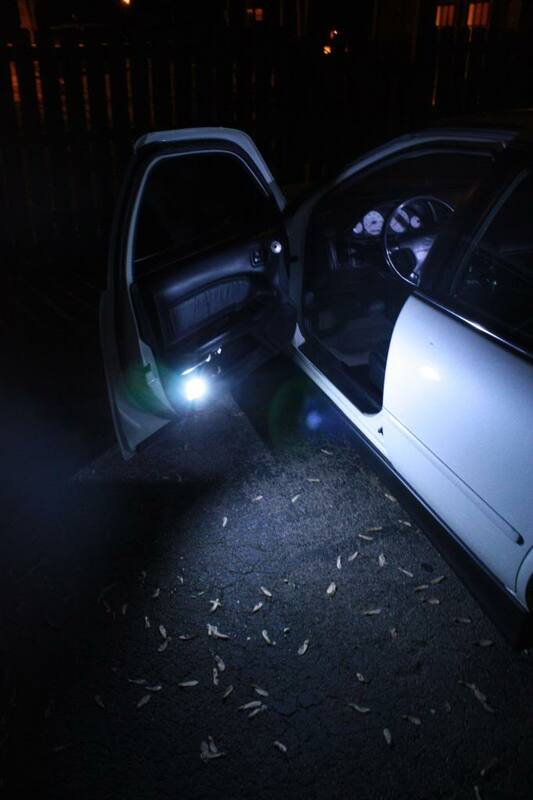 Step Three – Installing the LED(s) is fairly simple. For the cars with 2 bulbs, the map lights will be plug and play. 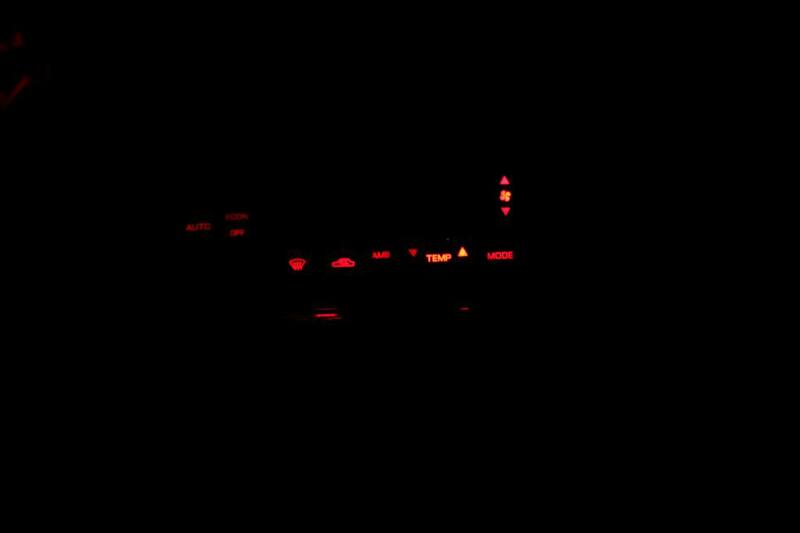 But the cars with one map light, they are trickier. Because of the way that the Map light bulb-base is wired, you can not simply plug in a standard LED bulb and expect it to work. I opt for LED board(s) that have a wired connection between the bulb-base and the panel. 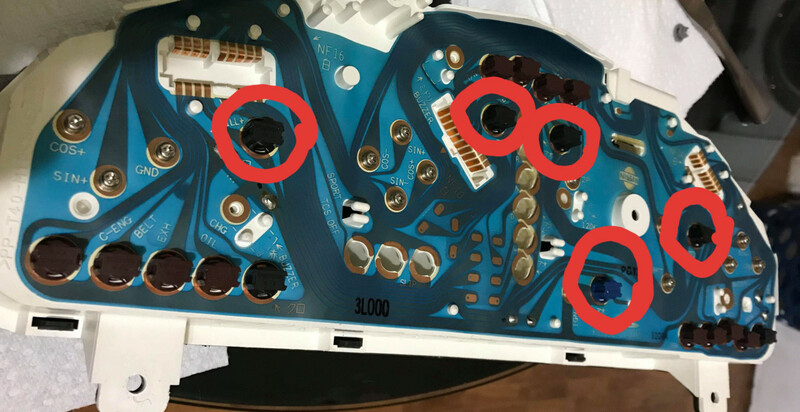 To make the LED board(s) light up you will need to connect the connection like so ..
Negative>>>Positive This will need to be done because Nissan wired the bulb-base in “reverse” and not what is commonly used. IIRC, Instead of getting power from the center contact, it gets power from the socket wall. And visa versa for the ground. Connect the LED board to the BA9s adapter and plug the adapter into the bulb socket (insert the adapter into the socket, push it in and turn clockwise [so that you lock the adapter in place]). Step Four- If the panel is not lighting up when you plug the LED board in and press the “on” button, then you will need to remove the bulb base and turn it 180° as the socket is polarized and will only work in one direction. *** Note if you have followed all of the above steps and the LED board is still not working, check to see if your Interior Illumination fuse has popped. Step Two – Remove the old bulb. This is done by grasping the bulb, and rotate it counter clockwise and pull it out. Step Four- If the panel is not lighting up when you plug the LED board in and turn it “on”, then you will need to remove the festoon adapter and turn it 180° as the socket is polarized and will only work in one direction. *** Note if you have followed all of the above steps and the LED board is still not working, check to see if your Interior Illumination fuse has popped. 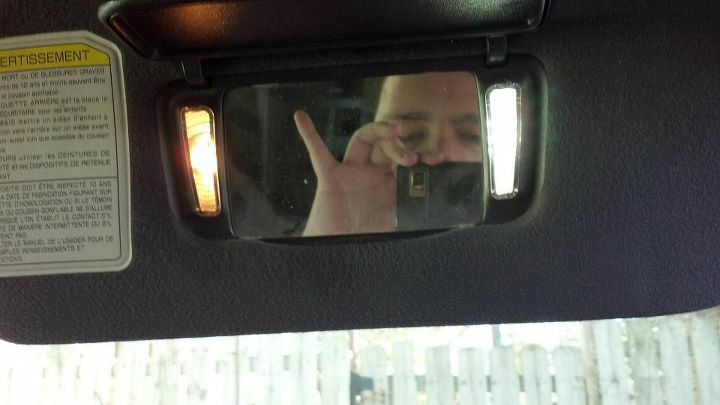 Step Three – Installing the LED. First connect the LED panel to the T10 adapter. Unlike the Map light, this is simply plug-and-play (+ to +, – to -). Connect the LED board to the T10 adapter and plug the adapter into the bulb socket. 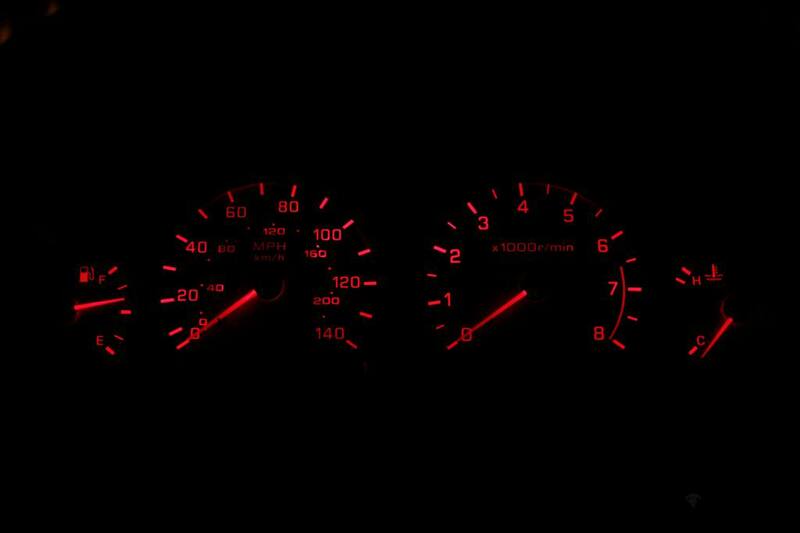 Installation of the gauge cluster bulbs is fairly easy, but can be tedious if you have never removed the cluster before. I will say this, be sure to keep the screws in a “secure” place, such as a zip-lock baggy. Remove the steering column cover (There are 6 screws that are accessible from the bottom of the cover). If you can not access the two screws that are farthest back you may need to remove the metal “cover” that is in the way. This is done by removing the two 10mm bolts and the “cover” should come right off. Step Two ½ . Now open the lever on the driver side of the steering column so that you can lower the column down as far as it will go. 95-97 cars/Analog odometer– Remove the 4 main bulbs (they will be larger than the other bulbs), this is done by twisting in a counterclockwise motion and pulling the “socket” out. 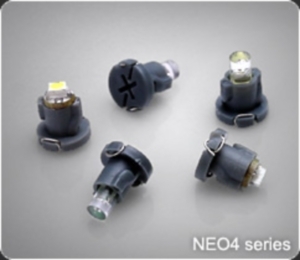 Now remove the bulb from the socket and insert your car T10 LED bulbs. 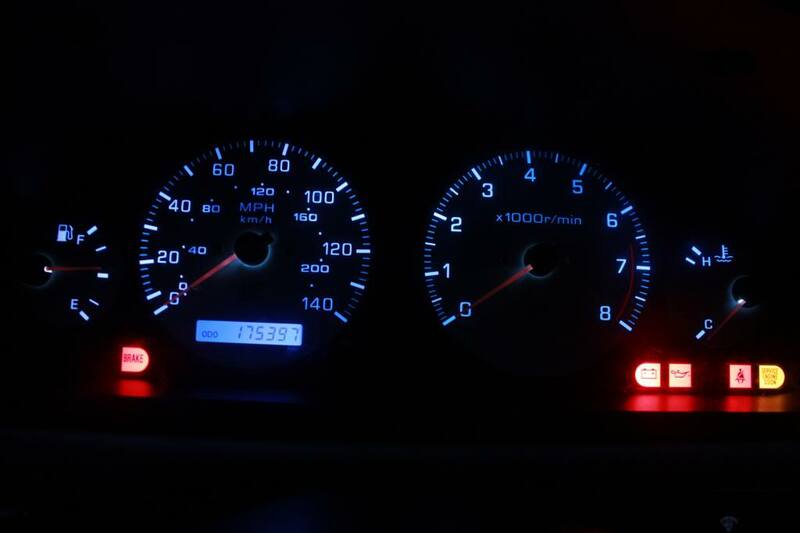 98-99 cars/Digital odometer – Remove the 4 main bulbs and the odometer bulbs, this is done by twisting in a counterclockwise motion and pulling the “socket” out, and put the 5(five) Neo-5 bulbs in the cluster, this is done by inserting the Neo-5 bulbs and turning them with a small flat-head or small phillips head screwdriver). Take the cluster back to your car and connect the electrical plugs in the back and plug the dimmer switch (on the bezel) back up and test your cluster bulbs. 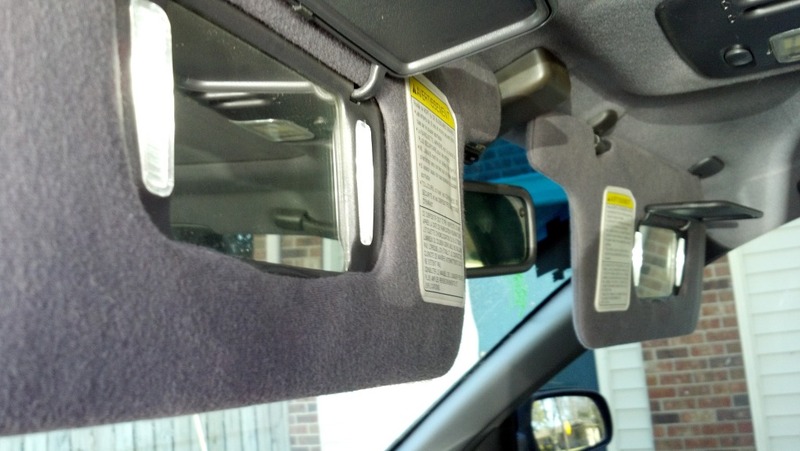 I found a good method of testing these (if it is daytime and you are outside), throw a dark blanket or jacket over you and the gauge cluster and lean close to the close to the cluster and turn the gauge lights on. Once all 5 bulbs are working, reassemble everything and enjoy what you have accomplished. Installation of the ACC bulbs is a little harder than any of the other swaps mentioned in this How-To. It can be tedious if you have never removed the ACC. I will say this, be sure to keep the screws in a “secure” place, such as a zip-lock baggy. Once the ACC is removed, you will need to remove the faceplate (attached with clips) from the unit. At this time you can also clean the display face and plastic lens. There are also 4 silver screws around the edge that will need to be removed. You will now have the face and back, the face will have an electric circuit board on the back with 4 twist lock bulbs. Before screwing the unit back into the brackets connect the 3 electrical connections and test the ACC to make sure your lights are all working (if any of them are not working you will have to take the ACC apart again and turn the bulbs around as they are polarized and only work in one direction. 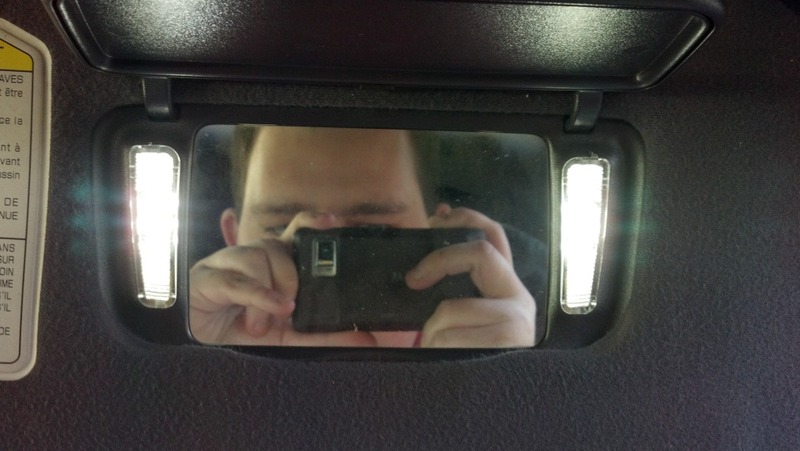 Installation of the Vanity Mirror Bulbs (VMB) is fairly straightforward. Do note, that some cars do not have lights in their vanity mirrors, for these cars you can skip this section. Remove the old bulb. This is done by grasping the bulb, and rotate it counter clockwise and pulling them out. Do this for each of the 4 bulbs. Installing the LED. Insert the 31mm bulb into the bulb socket. This is done by simply pushing in place. Do this for each of the 4 bulbs. Fuel Gauge Issues – How to Determine if it’s Fuel Sensor or Cluster/Odometer on 5thgen Maxima? Stay on top of the latest news! This website was officially launched on January 1st, 2017 by Eddy Perez. It's the #1 Nissan Maxima website on the web. It's also fully integrated to the top social media platforms. We provide the latest and most exclusive content in the Maxima community! Copyright © 2019 my4dsc.com. All rights reserved. Please take extra care before starting any work. my4dsc.com is not responsible for any damages or injuries occurred while attempting these how-tos.